Chase Resourcing’s guide for obtaining a Saudi Arabian Work Visa permit. Chase Resourcing will provide our candidates 24 hour assistance 7 days a week in obtaining a Saudi Arabian Work Visa permit. Please find below requirements for Saudi Arabian Work Visa. 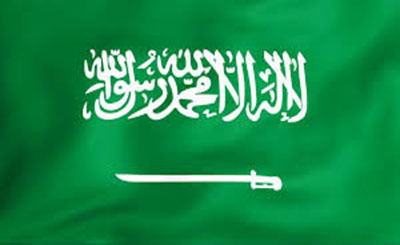 Saudi Arabian work Visa Application’s are available to download in links below. Three passport-sized photographs (white background). A copy of the Electronic Visa Authorisation issued by Enjaz,Saudi Ministry of Labor, obtained by the Sponsor in Saudi Arabia; along with a P.O.A. – (Power of Attorney) document which gives permission for Visa Services to process the applicant’s visa. Medical report form, as provided online, must be conducted in Type-Written Format – by an Irish Physician and must be stamped and signed by the physician and attested by the Irish Department of Foreign Affairs Office in Ireland. Copy of the employment contract – which must be attested by the Saudi Arabian Ministry of Foreign Affairs Office in Saudi Arabia and the applicant’s most recent academic certificate. The degree certificate must be in English and attested by The Department of Foreign Affairs Office and by the Saudi Cultural Bureau of the same nation/country. Police Clearance (obtained from your local Police Station) and stamped by The Department of Foreign Affairs office. Medical report form, as provided online, must be conducted in Type-Written Format – by an UK Physician and must be stamped and signed by the physician and attested by the The UK Foreign and Commonwealth Office. The degree certificate must be in English and attested by UK Foreign and Commonwealth Office and by the Saudi Cultural Bureau of the same nation/country. Police Clearance (obtained from your local Police Station) and stamped by The UK Foreign and Commonwealth Office.